The three year programme officially came to an end in December but a part-time administrator – Jane Ellis – has been recruited for a few months to help make all the new connections sustainable. And soon everyone involved will come together for an evening of celebration at The Miners in Moston. “I have to say I’m missing the place already,” says Graeme. “What was your highlight in your time as the man on the ground, the community builder?” I ask. Graeme tells of supporting a young mum, who’d lived on the estate all her life and wasn’t happy with the lack of facilities for young children. Not knowing where to start, she accepted Graeme’s help and eventually set up a family and children’s project. “What lessons would you say that you, as the professionals, have learnt from the Fourteen programme?” I ask. “The funding was good to have, no doubt,” says Rachel. “Without it we would probably not have made the initial successes and relationships so quickly and positively. I must have looked unconvinced because Graeme offers an example. 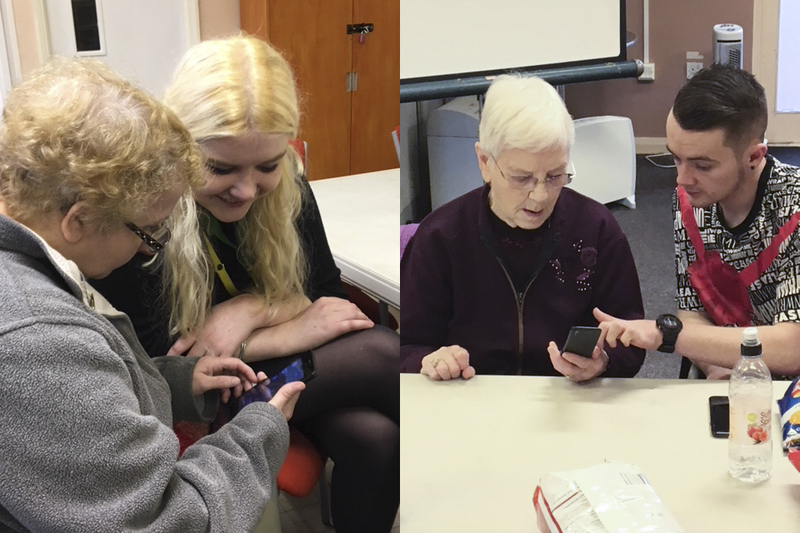 “Last month the older ladies at The Wellbeing Centre were complaining they didn’t understand how to use their tablets and smart phones. “Remind me what this Fourteen programme is all about,” I ask once we’re all settled in the Forever Manchester meeting room with our brews. For the last three years Forever Manchester has worked with local people to give out £200,000 of lottery money in the Harpurhey and Moston areas of north Manchester. This blog – Another Music – has been part of that programme and, now the money is spent, it seems a good time for a review. From the horse’s mouth, so to speak. As well as giving out grants to community groups in Greater Manchester, Forever Manchester works towards making local communities more resilient, more able to cope. Over the last few years they’ve adopted a fresh approach which involves connecting people together and building on local strengths. Graeme Urlwin has been the community builder for the programme: “My first impression? Probably like everyone else’s who has never been there. I thought it would be dreadful. But that’s down to the negative news headlines and the awful TV programmes that local people have had to suffer. The Fourteen programme requires local people to be involved in the grant-making process. Working with grass roots organisations is right up Forever Manchester’s street. They set up a ‘local reference group’ – see this link – but didn’t foresee just how successful that group would be. “We needed the group to help us administer the funds but we had no idea how many positive connections and collaborations would spin off from that,” says Helen. 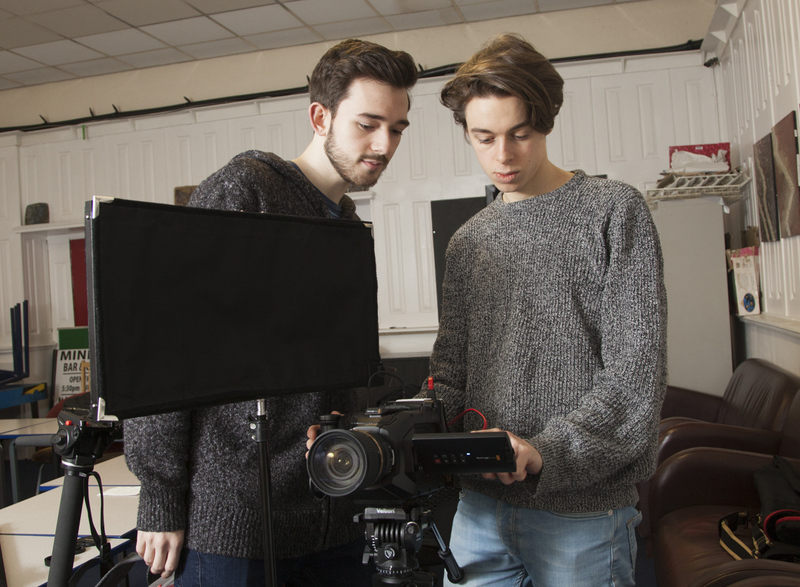 I’m sitting in the back room of The Miners Community Arts and Music Centre with young filmmakers Josh Wilkinson and David Hall, aka Modify Productions. They’re telling me about the documentary they’re making about many of the community groups in this area. As a photographer and writer, I’ve done a few passion projects myself: self-initiated pieces of work about a subject you feel strongly about. Because no one is paying you have the creative freedom to do what you like. Hopefully prospective clients like your approach and commission something themselves. “Have you found anything that’s surprised you while you’ve been making the film?” I ask. Only just into their twenties, these two have known each other since they were 12. 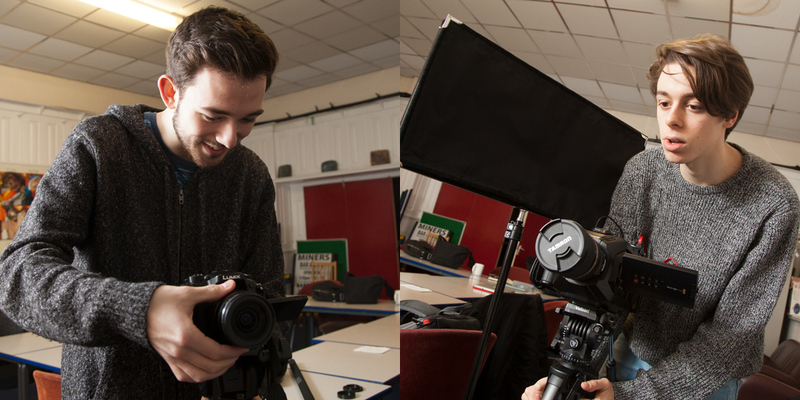 They were both in front of the camera before deciding to make a career of being behind it. “Pretty much, yes,” he says. “A few years back you’d have no alternative but to go to film school to get access to all the expensive cameras and editing suites. But now the technology is accessible and there’s a wealth of information online. Josh and David are certainly clued up and I’m convinced they’re going to make a success of their production company. Already they’ve completed some promotional films for commercial clients and even won a competition for a short horror film. While they’re getting started they both still have part-time jobs but already have an eye on the future. As I switch my tape recorder off, Josh and David turn the tables. David sets up as I’m sat in front of an impressive-looking video camera, Josh fixes up some lights and within minutes I too am a subject for their documentary.